emami, S., emami, E. (2018). Investigation of Urban Biophysical Compounds in the Formation of Thermal Islands Using RS and GIS (Case Study: Yazd). 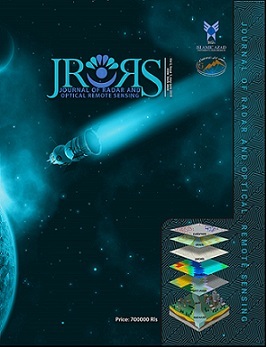 Journal of Radar and Optical Remote Sensing, 1(1), 15-35.
sedigheh emami; esmail emami. "Investigation of Urban Biophysical Compounds in the Formation of Thermal Islands Using RS and GIS (Case Study: Yazd)". Journal of Radar and Optical Remote Sensing, 1, 1, 2018, 15-35.
emami, S., emami, E. (2018). 'Investigation of Urban Biophysical Compounds in the Formation of Thermal Islands Using RS and GIS (Case Study: Yazd)', Journal of Radar and Optical Remote Sensing, 1(1), pp. 15-35.
emami, S., emami, E. Investigation of Urban Biophysical Compounds in the Formation of Thermal Islands Using RS and GIS (Case Study: Yazd). Journal of Radar and Optical Remote Sensing, 2018; 1(1): 15-35.